2015 has been career defining for Sydney duo Hermitude, their album Dark Night Sweet Light debuted at #1 on the ARIA Album Chart and has stayed in the Top 20 for seven weeks. The launching tour completely sold out, 10,000 tickets selling out in advance across Australia and New Zealand. Propelled by the huge radio hit ‘The Buzz’, Hermitude have soared to new heights; fast becoming one of the most in-demand live acts in the country. The duo bring a musicality and virtuosity to their live performances rarely seen in electronic music. Tickets for both shows will go on sale at 10am Friday July 17. 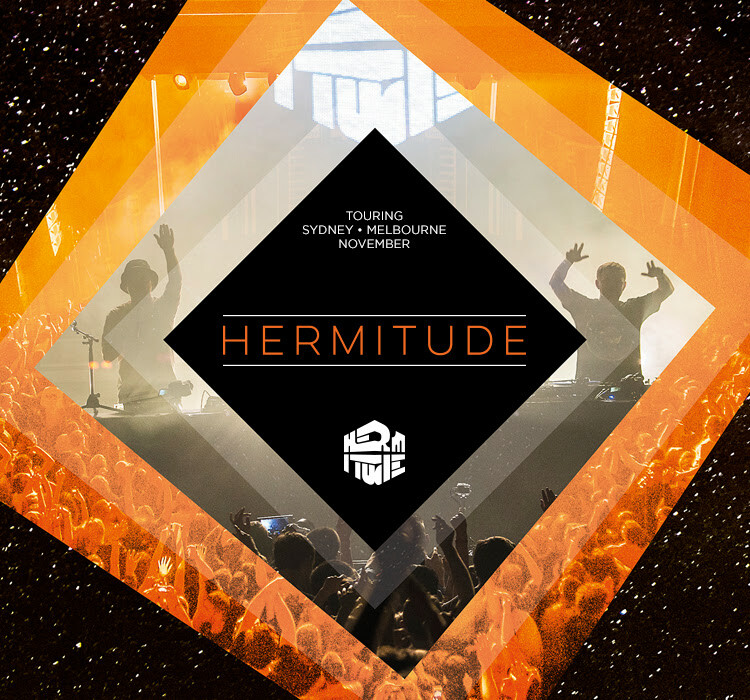 Hermitude’s acclaimed studio productions and reputation for explosive live shows are winning over new fans in the USA with consecutive tours and standout performances at festivals such as SXSW, Governors Ball and upcoming appearances at the likes of Lollapollooza and Hard Fest. Their growing US fanbase landing them a worldwide album deal (excluding Australia/New Zealand) via Nettwerk Records, where they’re set to release their album in late August. With an even bigger production, the stage is set for what promises some of the most sought-after live shows of 2015. You can’t miss this.